Bus routes 5(K/T), 632, 633(A/N), 635(Z), 638, 738(K), 962(B), 963 and 973(L) are diverted in the center of Kerava from Wednesday 3 August 8am to Sunday 7 August midnight due to a fair. Aleksis Kiven tie and Paasikivenkatu are partly closed to traffic. 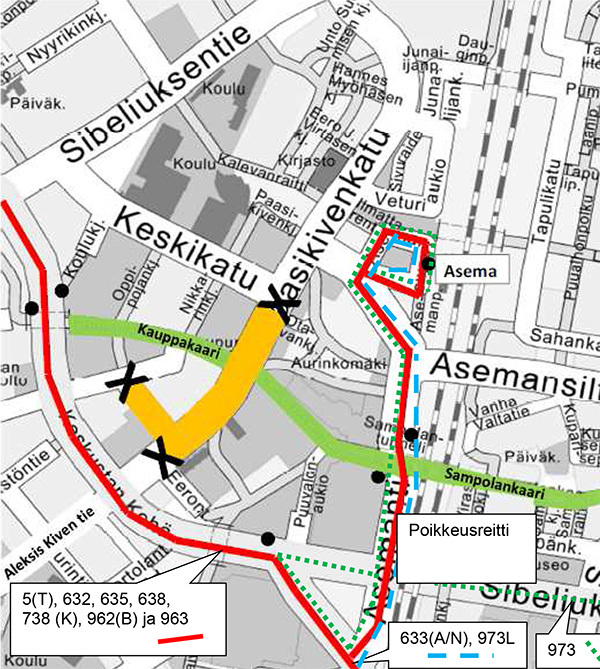 The buses run to Kerava station via Asemantie.